Having the right Road Trip Activities for Kids can make a world of difference when you’re on your next family road trip. On our Epic Road Trip last summer from Oregon to Wisconsin, we got a chance to try out lots of games and activities. Some were winners and some were losers. We spent a lot of time preparing by reading blog posts and printing out pages and checklists. The planning is almost as fun as the trip itself. We knew that with 4 kids and 2 adults in a minivan for 4,000 plus miles there were going to be some rough times. Kids get bored … really, really bored just sitting in a car. There’s just no way around it. Each kiddo also has their own level of tolerance for that boredom. We knew we needed some solutions to that boredom. So we planned ahead to limit their restlessness. We wanted our kids to actually be engaged in the trip, not totally tuned out, so we limited their media time along the way, too. I mean, seriously … part of the reason we do road trips vs. flying is because of the adventure and the scenery. If their noses are glued to a tablet, phone, or video game system they’re missing out on a lot. Most days we only let them on their tablets after lunch and then for just 2 hours. The rest of the time they stayed entertained with Audio Books, Games, and individual activities. We were imagining all kinds of bickering on the long, long, days on the road. Fortunately, we lucked out and didn’t have any big meltdowns (from the kids, at least) until we were 2 days from home. Momma had a meltdown within the first week, but that’s another story. You get that, right? And you know what? Having just the right kids activities made all the difference. What Makes a Good Road Trip Activity for Kids? There are a few ways to go about having audiobooks for your trip. We checked some out from the library before we left. It is possible to lose the disks on your trip, so be very careful and keep track of them. Also, make sure they’re not due before you come back or you can renew them if needed. Another solution is to get Audible and download them right to your device to play on the trip. This is a safer bet and allows you to play them on individual devices so the whole family doesn’t have to listen. It works best because there’s one less thing to keep track of and if you have kids of different ages you can customize their choices. You can even Try Audible and Get Two Free Audiobooks with their 30-day free trial. There really are a ton of audiobooks that kids will love. Here are just a few that we have listened to. You will want to choose books based on the age and interest of your kids. Here are some games that meet these qualifications and are a lot of fun. Car Bingo – This is a classic, who doesn’t remember it from childhood? It’s important for kids to have something firm on their laps to use for their activities. We bought a few cookie sheets like this from Dollar Tree that made nice lap trays and they stacked easily when not in use. The kids used them for drawing, eating, playing play-doh, coloring, activity books, and magnetic games. With younger kids, you’ll want a Children’s Travel Lap Desk/Organizer so they’ll have something sturdy that won’t be dropping on the floor. It also has little pockets to hold crayons and such. There are very nice Seat Back Organizers that attach to the head rest of the seat in front of the kids. These keep everything handy for kids to grab. They’ll hold drinks, snacks, tablets, art supplies, stuffies or blankies, etc. We kept all the activities in one Clear Plastic Tote like this so everything stayed organized. This allowed us to move it around between kids and to rotate what they played with. Each rest area we stopped at they would “check-out” and “return” different activities. Road trip activities for kids don’t have to be complicated, but as you can see, you do need to be prepared. When you’re taking a family road trip with kids, don’t forget to plan ahead to keep them entertained. It really can be an enjoyable time and will build so many good memories. I know our trip is something the kids just can’t stop talking about and it will continue for years. I can’t wait for the next one. 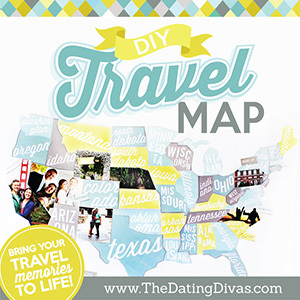 Do you have some fun activities you add to your road trips? Tell us what your best tip is … there are never too many good ideas. Ultimate Road Trip Guide Post – read here.